This insightful work is a compact but wide-ranging survey of humankind’s relationship to the great apes (chimpanzees, bonobos, gorillas, orangutans), from antiquity to the present. Replete with fascinating historical details and anecdotes, it traces twists and turns in our construction of primate knowledge over five hundred years. Chris Herzfeld outlines the development of primatology and its key players and events, including well-known long-term field studies, notably the pioneering work by women such as Jane Goodall, Dian Fossey, and Biruté Galdikas. 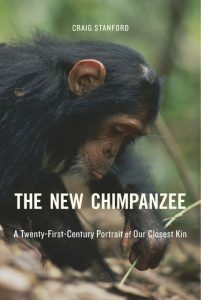 Herzfeld seeks to heighten our understanding of great apes and the many ways they are like us. The reader will encounter apes living in human families, painting apes, apes who use American Sign Language, and chimpanzees who travelled in space. Artist/Author: Fleagle, J. G. et al. 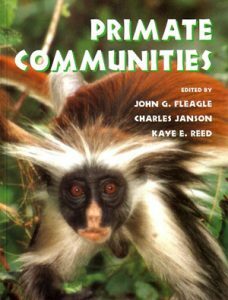 Comprehensive and unique volume exploring the differences and similarities between primate communities worldwide. Although the behaviour and ecology of primates have been more thoroughly studied than that of any other group of mammals, there have been very few attempts to compare the communities of living primates found in different parts of the world. In Primate communities, an international group of experts compares the composition, behaviour and ecology of primate communities in Africa, Asia, Madagascar and South America. They examine the factors underlying the similarities and differences between these communities, including their phylogenetic history, climate, rainfall, soil type, forest composition, competition with other vertebrates and human activities. 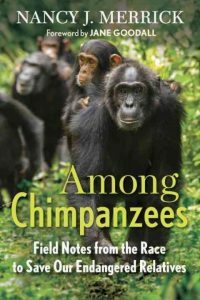 As it brings together information about primate communities from around the world for the very first time, it will quickly become an important source book for researchers in anthropology, ecology and conservation, and a readable and informative text for undergraduate and graduate students studying primate ecology, primate conservation or primate behaviour. A handy identification guide and checklist for the monkeys of Peru. This laminated fold-out guide has 66 illustrations to identify all monkey species in Peru, with illustrations of both sexes for some species, and includes individual distribution maps. In addition, you can use the checklist to note the location and date of the species you find. 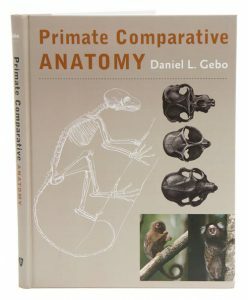 In this comprehensively illustrated, up-to-date textbook, primate anatomist Daniel L. Gebo provides straightforward explanations of primate anatomy that move logically through the body plan and across species. Including only what is essential in relation to soft tissues, the book relies primarily on bony structures to explain the functions and diversity of anatomy among living primates. Ideal for students, Gebo’s book will also appeal to researchers in the fields of mammalogy, primatology, anthropology, and paleontology. Included in this book are discussions of: Phylogeny; Adaptation; Body size; The wet- and dry-nosed primates; Bone biology; Musculoskeletal mechanics; Strepsirhine and haplorhine heads; Primate teeth and diets; Necks, backs, and tails; The pelvis and reproduction; Locomotion; Forelimbs and hindlimbs; Hands and feet; and Grasping toes. Artist/Author: Shah, Anup and Fiona Rogers. Anup Shah and Fiona Rogers have spent much of the last decade in the company of the world-famous chimpanzees of Tanzania’s Gombe National Park, getting to know their characters and learning about the intricacies of their lives. Tales from Gombe provides an unparalled insight into their world. Through endearing stories and stunningly intimate photography, it tells the story of their lives, an epic saga full of convoluted plots, family alliances, intrigue, love, passion, suffering, ambition, politics, puzzles, surprises and controversies. The chimpanzees of Tanzania’s Gombe National Park are probably the most famous group of wild animals in history, having been observed and chronicled for more than 50 years. Through studies initiated by the palaeontologist and anthropologist Louis Leakey and carried out by the primatologist Dr Jane Goodall, people worldwide know some of their names and stories. In Tales from Gombe Anup Shah and Fiona Rogers introduce us to all the different characters in this unique family, from the bold and mischievous Google and the powerful Titan to the enigmatic Freud. They tell the dramatic story of this unusual society, describing all that has happened since they started studying them, while beautifully capturing the daily interactions of the various characters. 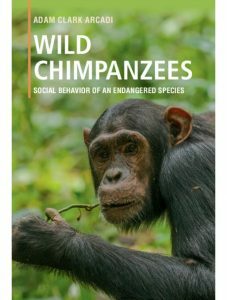 The combination of breathtaking photography and rich social history provides the reader with a thought-provoking experience and evokes a strong sense of empathy and respect for chimpanzees. 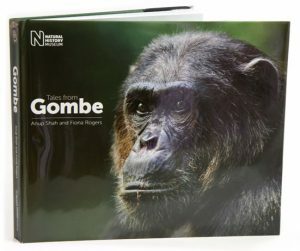 Highly captivating and often deeply moving, Tales from Gombe will inspire all those who read it to learn more about our closest cousins. The long-awaited revision of the standard student text on primate evolution. Offers full coverage of newly discovered fossils and the latest taxonomy. Features over 200 new illustrations, tables and revised evolutionary trees. For many years John Fleagle’s text on the adaptation and evolution of primates and early hominoid fossils was the the text of choice for teachers and research workers alike. Now, as the only such work in print, this new edition brings this coverage up to date with the latest fossil finds and most current research. The book retains its grounding in the extant primate groups as the best way to understand the fossil trail and the evolution of these modern forms. But this coverage is now streamlined, making reference to the many new and excellent books on living primate ecology and adaptation – a field that has burgeoned since the first edition of this book. 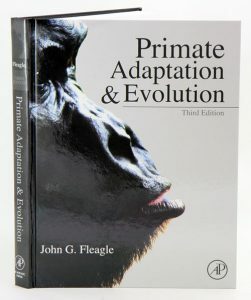 By drawing out the key features of the extant families and referring to more detailed texts, Fleagle sets the scene and also creates space for a thorough updating of the exciting developments in primate palaeontology – and the reconstruction through early hominid species – of our own human origins. Illustrated with many of the classic pictures from earlier editions – and whole new suite of illustrations, revised evolutionary trees and tables – this book remains the indispensible text on this fascinating subject. Artist/Author: Petter, Jean-Jacques, Francoise Desbordes and Robert Martin. 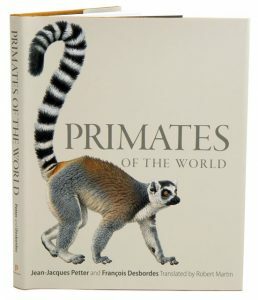 Stunningly illustrated, this guide covers nearly 300 species of the world’s primates, from the feather-light and solitary pygmy mouse lemurs of Madagascar, to the regal mountain gorillas of Africa. 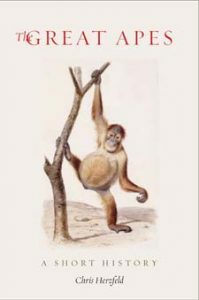 Organized by region and covering every primate family, the book features 72 splendid colour plates, facing-page descriptions of key features of each family, and 86 colour distribution maps. 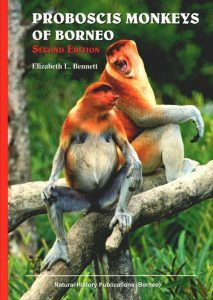 This guide also includes concise introductory chapters that discuss the latest findings on primate origins and evolution, behaviour and adaptations, and classification, making it the most comprehensive and up-to-date primate guide available. Proboscis monkeys have been making spectacular first impressions on people for a long time. Early naturalists could not agree, though, whether the animals were amazingly wonderful or amazingly grotesque. One of the earliest reports of proboscis monkeys in the wild came from British officer Hugh Low. As long ago as 1848, he said that the proboscis monkey “is remarkable for its very long nose; it is a very fine monkey, in size approaching the orang-utan, but much less disgusting in appearance”. Another early explorer-naturalist, Odoardo Beccari, obviously had somewhat mixed feelings about the animals. On the one hand, he said that “the long-nosed ape is of singular and ridiculous aspect”, but went on “Why amongst all apes…this one should be provided with a long, prominent and fleshy nose, somewhat hooked at its extremity, it is hard to say. According to Darwinian theory, it might possibly be attributed to sexual selection. If such were the case, we might, perhaps, cvongratulate the monkey on its good taste”.